There have been many books written that have been deemed classics of the literary form. The works of Shakespeare, Catcher in the Rye by....an author and Dirty Jokes and Beer By Drew Carey. These all have value and merit in that they all contain words, some of them large and clever, but they are all unified by one overwhelming oversight that could wash all the awards and praise heaped upon them away with one metaphorical Johnsons Baby Wipe. None of the so called masters of the form had the forethought to include a Corner Gas episode guide within their pages! Perhaps, this is because the task is one of considerable responsibility. How do you capture such a fantastical oeuvre of work within your oeuvre of work? I would take a brave person of incredible skill, pluck and stamina to take on such a Herculean task. Luckily such a person exists. Michele Sponagle has written what are the essential guides to the making of Corner Gas. 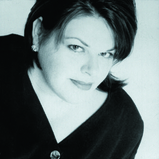 Michele is an extremely accomplished writer, editor and author. She has contributed to many magazines and worked on projects for publishers and companies covering a wide range of subjects. The wealth of her experience is particularly evident in the Corner Gas guides. Available in two volumes, "Tales From Dog River" (TFDR) covers seasons one to three and "Dog River Confidential" (DRC) continues from season four to season six. 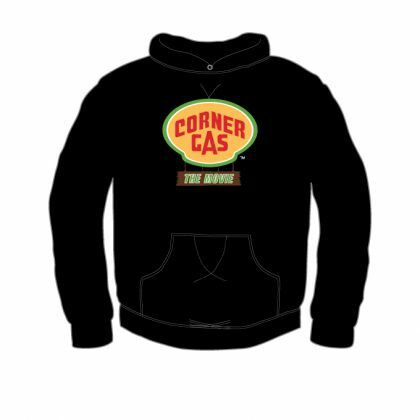 As I have mentioned before, I am aware that when I heap praise on Corner Gas related items on my site that it could be construed by the reader as being somewhat redundant. No point in having a fan site and say your muse is a crappy one! 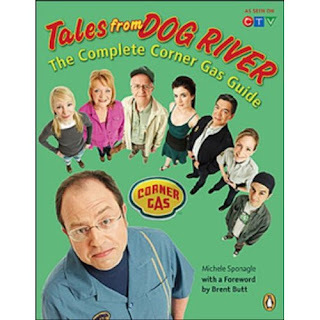 However, in my geeky lifetime I have read many episode guides and making of tome's and I have to say the Corner Gas books are by far two of the best I have ever read (another good one is The Mystery Science Theatre 3000 Colossal Episode Guide - but let their fan site inform you about that one). The amount of detail Michele has included is fantastic. Most episode guides are glorified lists. Titles of episodes, with a few scant plot details, air dates and cast and crew members included in their pages. Such books are often no more than expensive photo albums, containing more to look at than read. TFDR and DRC are chock full of behind the scenes details, interviews and photo's covering every aspect of the show. There are even recipes for Chilli Cheese Dog's and The Ruby's Apple Pie! 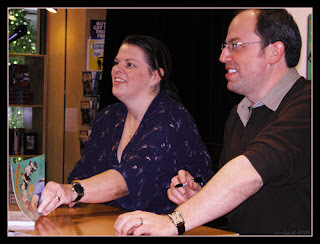 Some lucky ducks having their episode guides signed by Michele and Brent! The only problem I have with these magnificent books is, how in the blue blazes am I going to be able to top them here on my site. What in fact are blazes, how are they blue and why is importance heaped on them so? in it's entirety. So our guide will help you keep track of what you have and haven't seen. Here is where you come in. 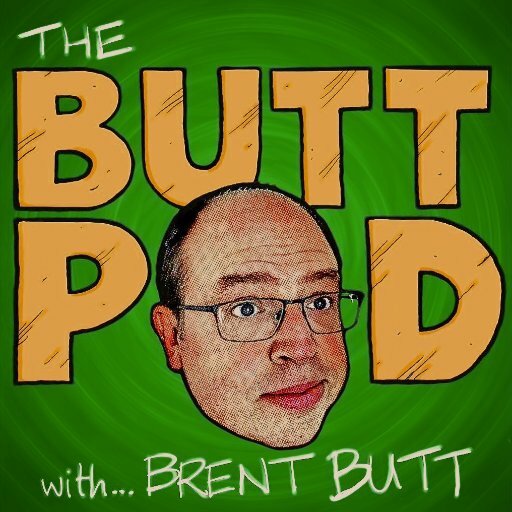 I would like readers to submit to me their favourite episodes. Let me know which you like and why, go into as much or as little detail as you like. Also include your star rating for the episode, out of five. I say stars so you know what I am on about - I will however be using a gas pump rating system which works the same as stars ...only the stars are pumps, it fit's my remit! I know, creative genius! Try and be as honest as you can, even the greatest show can't have all five star episodes. Why not let me know if there is an episode you think isn't quite so hot as others and give that a rating. 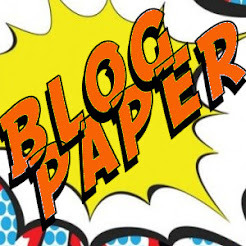 Any episode recommended by you the reader will then be reviewed in full by myself and I will add your "pump" rating to the episodes listing in the episode guide along with a snippet of your own review. I will include your name and rough area in the world that you come from unless you say not to, none of your other details will be given. Eventually we should have a handy dandy one stop guide to which episodes are the true greats and I will one day write up some sort of top ten as voted for by the public. 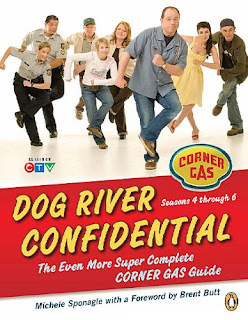 Whilst that get's up to speed, I highly recommend buying Tales From Dog River and Dog River Confidential as the perfect resource for all things Corner Gas. For our English audience I have included links to the Amazon listings for both books in their cover pictures above. I am sure the rest of the world can pick them up at all good bookshops, and some of the bad ones too. Once you have the books don't stop coming here for all the latest news and shenanigans - don't want to write myself out of a job or anything!